Size of this PNG preview of this SVG file: 295 × 339 pixel. Resolusyonên din: 209 × 240 pixel | 418 × 480 pixel | 522 × 600 pixel | 668 × 768 pixel | 891 × 1024 pixel. 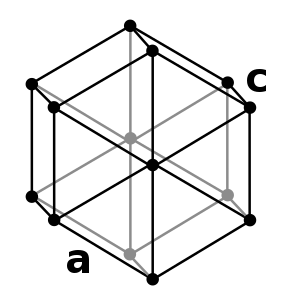 I created this image based on the Cubic lattice .svg images (http://upload.wikimedia.org/wikipedia/en/b/bd/Lattice_face_centered_cubic.svg). The copyright holder Baszoetekouw (http://en.wikipedia.org/wiki/User:Baszoetekouw) gave me permission to modify this image to create this one, on the condition that I release this image under the BSD licence . Çavkanî Transferred from en.wikipedia to Commons. Xwedî The original uploader was Danieljamesscott at îngilîzî Wîkîpediya.